FREE opening reception Friday, March 2, from 6-8 pm. 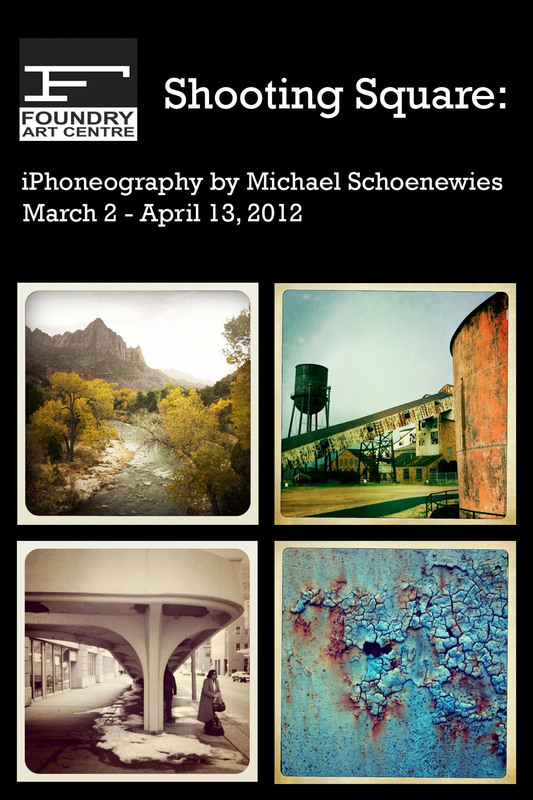 Shooting Square: iPhoneography by Michael Schoenewies is a photography exhibition at the Foundry Art Centre in the Ameristar Gallery. The show will feature photography shot and edited through an iPhone. The iPhone and apps such as Instagram have changed photography and enabled people to share photos and build communities worldwide. Michael’s photographs encompass urban decay, street photography, and scenic photos including locations from the United States to Canada to Israel. A concurrent show, Faith Ringgold: American Quilts will be in Gallery I, II, & III. For further details, you can visit the event page on Facebook. This entry was posted on February 4, 2012 by Michael. It was filed under Uncategorized .